Calicivirus causes severe internal haemorrhage which results in rapid death within 1-2 days. Rabbits may develop depression, lethargy, neurological problems and stop eating before death. The virus can survive outside for long periods of time and is resistant to heat and cold and certain disinfectants. The virus is passed mainly through direct contact with another infected rabbit or food and bedding but may also travel long distances in the air and through transfer from insects, birds and other animals. Myxomatosis was introduced into Australia for the control of wild rabbits. Unfortunately, the virus doesn't discriminate against pet rabbits. Myxomatosis is spread through close contact with infected rabbits, and through fleas and mosquitoes. 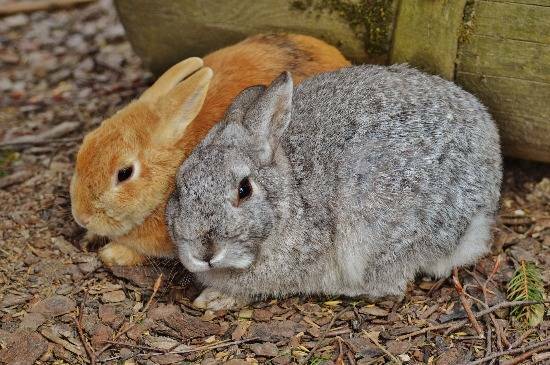 To help reduce your rabbit from catching the disease, it is recommended to use Revolution for flea control and have mosquito-proof netting around the rabbit's hutch and play area, especially during the warmer months. Any newly adopted rabbits should be kept separated for at least 10 days before introducing to the rest of your rabbits.